Several weeks ago I attended a freezer meal workshop that my good friend Kim was hosting. She is a rep for Wildtree and I was excited to try this out. I love a good freezer meal so when I found out I was going to get to hang out with my friends for an afternoon while we put together our meals, I was on board! This picture of the Ranch Chicken Chili really doesn’t do this meal justice. We made 10 meals and this is the one that I was the most looking forward to eating, and in no way did it disappoint! It was so delicious and I look forward to making it again soon. A funny thing with this dinner: Summer loves to eat, that is no secret, but she would not stop eating this! After 4 decent size bowls and her asking for more I finally had to tell her that she had to take a break! She LOVED this! Now you want to rush out and make your own, don’t you? Well here is how! To prepare: Thaw in fridge. Place contents of bag in crockpot. Cook on low for 6 hours. At end of 6 hours, use fork to pull apart chicken breast or thighs into a “shredded” consistency. Top with ¼ cup chopped cilantro (optional). Serves 5. 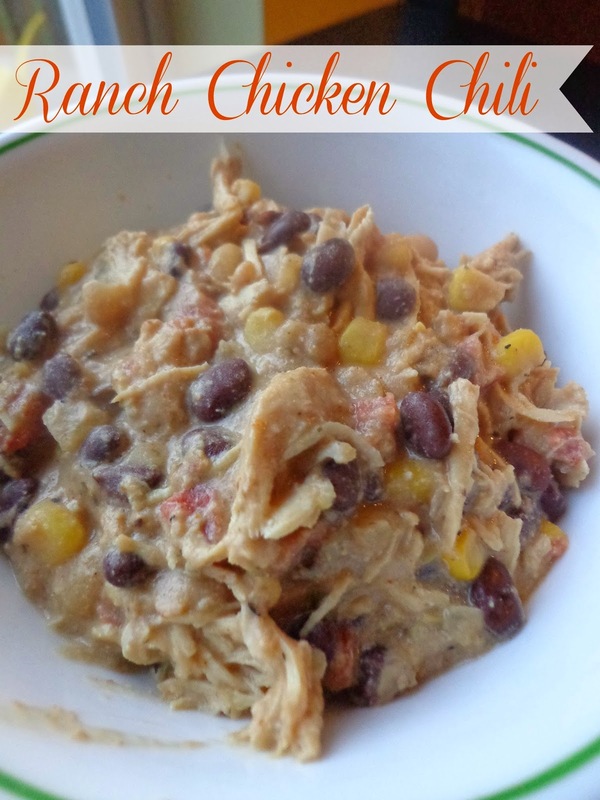 You guys, no joke that this Ranch Chicken Chili is amazing. I hope you’ll give it a try- check out my friend’s Wildtree site!